A very special lady in my life turned 90 a couple of weeks ago...my lovely Nana. This card was definitely a labour of love, and she's worth every minute! 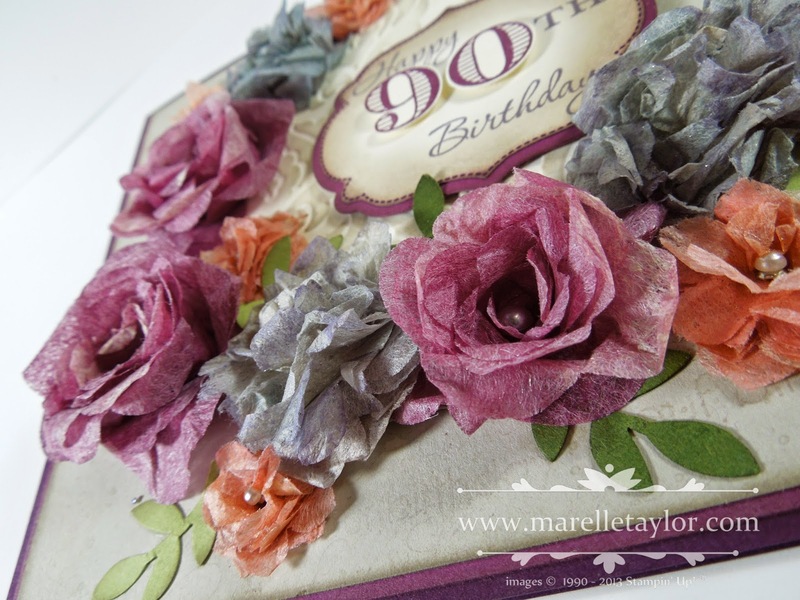 I made all the flowers using Natural Filter Paper, which I spritzed in some soft pretty colours, and then cut out using the Spiral flower die and flower punches. I made the leaves using the Bird Builder Punch. The background is Sahara Sand, which I have also sponged to give it a vintage feel. It's definitely not a card to send through the mail.... I was able to give it to her at the family celebratory lunch we had for her. And here's my beautiful Nana, not looking a day over 80! 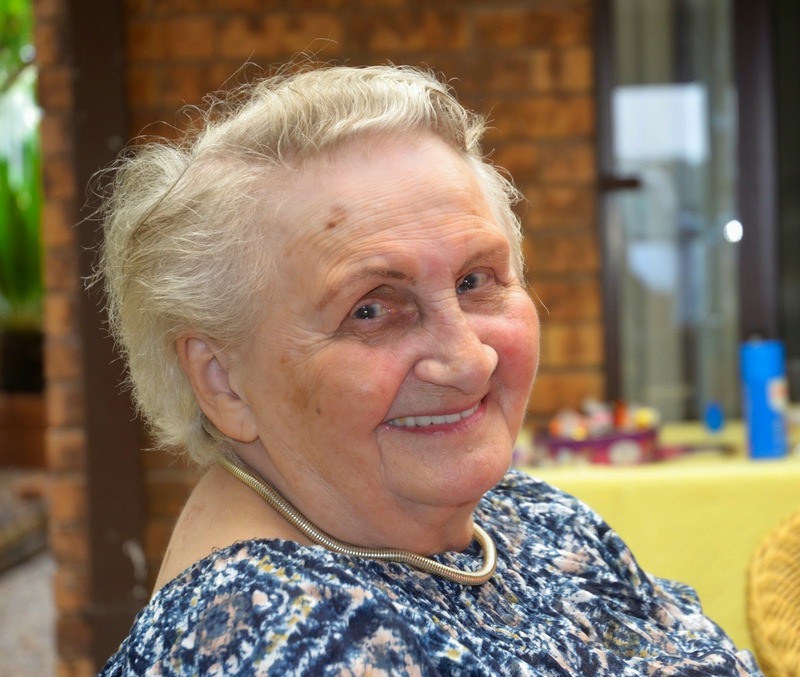 Nana hit a hurdle after her big day, and is still in hospital with a liver blockage. We're hoping she'll be able to go back home soon. 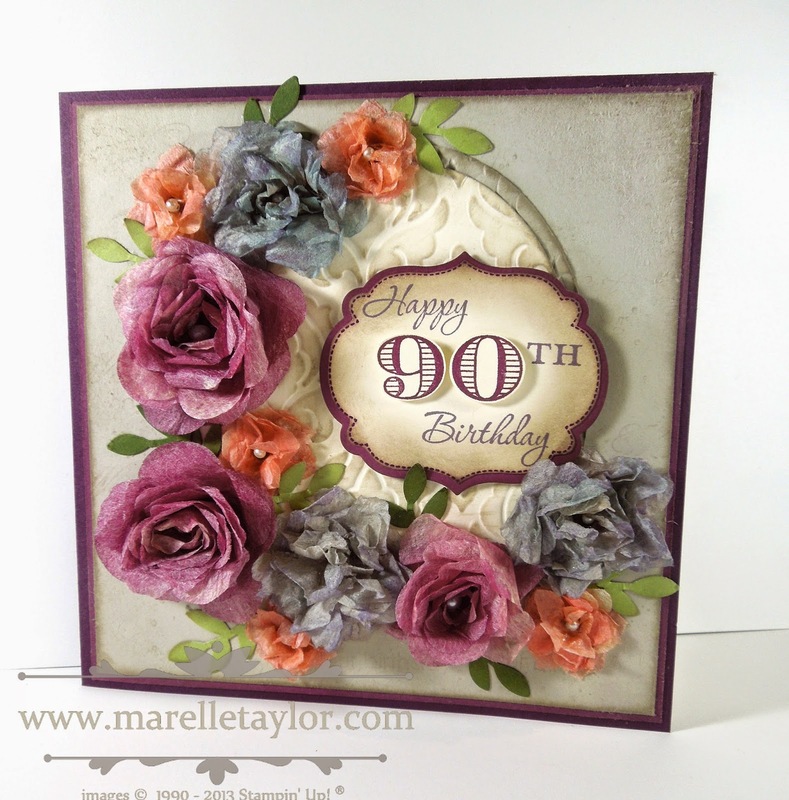 A gorgeous card for a special Nana!